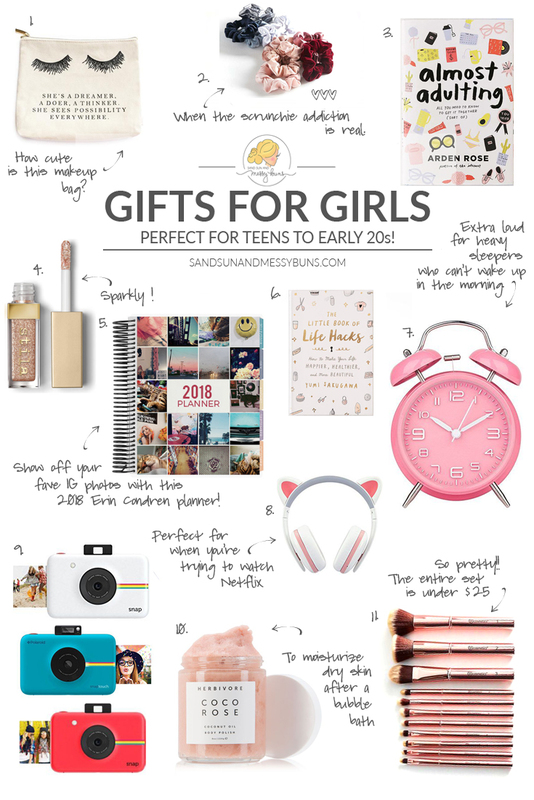 Today I'm sharing a huge list of all the best gifts for teen girls. It includes 50+ perfect gift ideas for both college and teenage girls. I'm 19 and in college, so this list includes all of my favorites, plus ones that my friends love. I tried to keep most of the items under $20, too! FYI: The items you guys have purchased and loved the most over the past year have three stars *** next to them. Those are the reader favorites! Eyelash Dreamer Makeup Bag: I'm always traveling, so I'm constantly in need of a good makeup bag. This one is cute as can be, it's roomy, and the quote is perfect! (Here's a pretty gold trimmed option, too.) | Under $20! Buy it here. Perfect 10 Scrunchie Set: The 80s are back and in a big way! Make sure you always have the perfect scrunchie with this set of 10. They come in satin, velvet, and metallic, and are offered in a variety of colors. | Under $20! Buy it here. Almost Adulting: This book is a good option for the younger high schoolers. It's full of helpful tips I would've never thought of on my own. [The Life Hacks book listed below at #6 is my preferred book for teens, and but this one is also a good choice.] | Under $20! Buy it here. Stila Shimmer & Glow Liquid Eyeshadow: The shine is real on this one! It's the perfect look for holiday parties and NYE. | Under $25! Buy it here. Erin Condren Planners: Erin's planners are the gold standard in planners. Each one has multiple cover options, matching stickers, and so much more! They're a great way to keep your life — and your homework — in order. I added pics of mine below!! | Buy it here. ***The Little Book of Life Hacks [TOP RATED]: Soooo many helpful tips! The illustrations are super cute and the tips are really helpful. It includes everything from healthy living tips to makeup hacks to “life in general” tips. | Under $20! Buy it here. **On sale today!! Retro Twin Bell Alarm Clock: This one has an extra loud ring to wake up heavy sleepers (like me). The retro vibe is so cute! | Under $10! Buy it here. Cat-Ear Noise Cancelling Headphones: Sometimes you just need to drown out your annoying little brother (or roommates), right? These cat ear headphones are perfect for watching Stranger Things and getting really spooked! | Buy it here. ***Instax 8 Mini Instant Film Camera [TOP RATED! ]: This is one of my favorite things I own! I take pics everywhere I go and hang them above my bed with these handy little twinkle light clips from Urban Outfitters. It makes me smile to have so many fun memories to look at when I'm falling asleep at night. | Buy it here. Herbivore Coco Rose: I've been a fan of Herbivore Botanicals products for a long time. (They're vegan!) The coconut oil in this makes skin feel so soft. | Buy it here. ***BH Cosmetics Brush Set [TOP RATED]: This pretty rose gold brush kit has everything a makeup addict needs and all for under $25! It even comes with a carrying case! | Under $25! Buy it here. **On sale today! My 2019 planner from Erin Condren. I love the daisies on it! I had my name engraved in gold and got the gold binding to match. Rotating Makeup Organizer: I have a mix of round and square makeup storage options, but I really like the round ones that spin. It makes for easy access to whatever I need! This option has adjustable layers, which is nice because you can customize it to fit your stuff. | Buy it here. ***Train Case Cosmetic Organizer: This one is a HUGE reader favorite and it's one of my favorite things I own. It's like a modern-day train case, because it's flatter and wide instead of the old style ones that looked more like a tool box. The good thing about the shape is that it fits an actual MacBook in the outer zipper! That means I can take everything important to me in my carryon when I'm boarding a plane, and it all fits in this one handy case. It holds a massive amount of makeup — full sizes, too — not just the teeny, tiny travel size items. If you carry a lot of personal items when you travel, this is one of the top items I recommend on this entire list!! | Buy it here. Stranger Things ELEVEN Socks: Any Eleven fan who always has cold feet will want these socks in their life. | Under $15! Buy them here. ***FRIENDS “Joey Doesn't Share Food” Mug [READER FAVE! ]: This one is super cute AND it can be personalized! It's perfect for anyone who loves fries…or what the fries represent. 🙂 | Buy it here. Luke's Diner & In Omnia Paratus Vintage Posters I want a Luke's Diner poster hanging in my kitchen!! I just discovered this Etsy shop and am totally ordering one. The “In Omnia Paratus one is cute, too. (SIDE NOTE: We desperately need a follow-up to “A Year in the Life” so we can see who got Rory pregnant!! *sigh*) | Buy Luke's Diner here. Buy In Omnia Paratus here. Set of 12 Made-in-the-USA Bath Bombs: What's better than a $7 bath bomb from LUSH? How about an entire SET of 12 bath bombs that cost less than $25?! Seriously, I love LUSH, but it would cost nearly $100 to order 12 bath bombs from them. These are equally as good and much cheaper. | Under $25! Buy them here. Turbie Twist Microfiber Hair Towel: The Turbie Twist perfect for keeping your hair out of the water when you're soaking in a nice bubble bath. It also does double-duty by quickly drying hair and preventing water droplets on the floor after you've showered. I use mine constantly! | Under 25! Buy it here. Maybelline Blushed Nudes: This palette is extremely affordable, but it isn't highly pigmented (which means the colors look more sheer once they're on, not thick and opaque). That makes it the perfect choice for teens who are just learning how to apply eyeshadow. The rose golds are really pretty! | Under 25! Buy it here. Urban Decay Naked Palettes: These 3 palettes always make the “best seller” lists during the holidays. It's because they're universally flattering and the colors are very versatile. Naked3 is my favorite for teens, because it has lighter gold and rose-toned colors. | The original Naked palette is sold out. Buy Naked2 here. Buy Naked3 here. Tweexy Wearable Nail Polish Holder: This is such a genius idea! Slip this comfy ring holder on your finger and it'll hold your nail polish in place while you paint your nails. 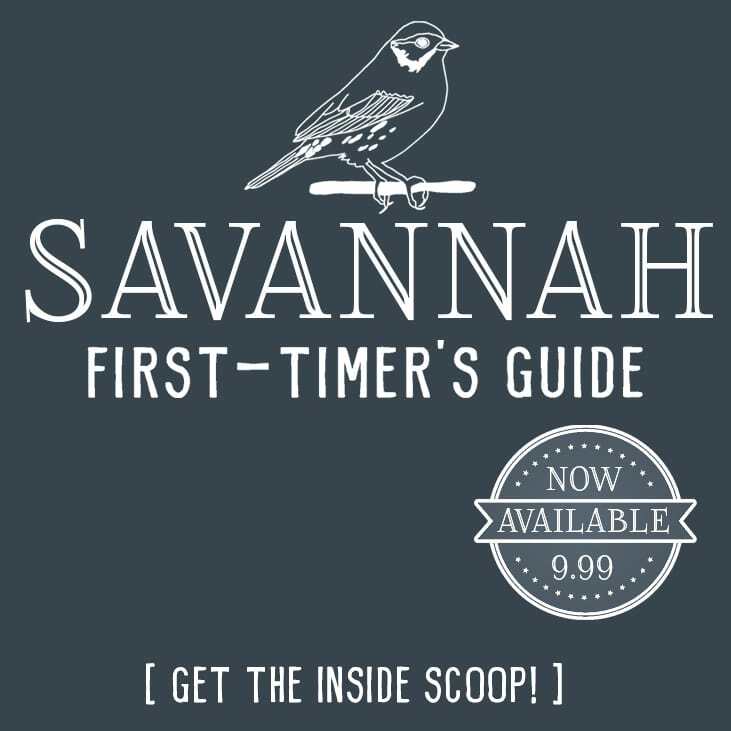 | Under $10! Buy it here. Gel Nail Manicure Kit: Tired of paying expensive salon fees? This is the kit I use to give myself gel manicures at home and my manicures last a couple weeks! Totally worth it! | Buy it here. ***Mario Badescu Drying Lotion [READER FAVE!! ]: It's impossible for me to make a skincare list and not include this. It gets rid of pimples like magic. MAGIC, I tell you!! It's the perfect stocking stuffer for teens, because teens have pimples, teens hate pimples, and therefore teens NEED drying lotion. | Under $20! Buy it here. Let's Get Sheet Faced: Face masks are the ultimate stocking stuffer. They're inexpensive, colorful, and fun! I like the cute sayings on this kit. (I so need to write a post about face masks!! TonyMoly ones are great, too!) | Buy it here. Clarisonic Mia DUPE: Another tried and true favorite and an essential for teen girls. You can read about my love for the Clarisonic Mia (and the MB Drying Lotion mentioned above) in my post The Top 10 Do's & Don'ts for Teen Skin. This dupe works great and is 1/3rd the price of the original. | Buy it here. Champion Reverse Weave Mock Neck Sweater: There's nothing like yellow to brighten up a dreary winter day. And when it's super soft, too? That's just a bonus! | Buy it here. Get the hoodie version here. Adidas 3-Stripe Leggings: These will forever be my favorite leggings. They're so comfy and perfect for lazy days! It's been a full year since this post and I still wear mine almost weekly! | Buy them here. Wanderful: “The Modern Bohemian's Guide to Traveling in Style” is by fashion blogger Andi Eaton. It's for nomads who want to learn about festival life, where to find the best vintage shops, and where to dance under the stars. (AKA: my dream life!) | Under 25! Buy it here. Face Paint: If you're into makeup (and I guess you are, since you're here reading my blog), this is my favorite makeup book I own. Makeup Artist Lisa Eldridge goes deep into the history of makeup in this one. I learned so much from her!! This option might be better for college girls. | Under $25! Buy it here. Lauren Conrad Beauty: This is an oldie, but goodie. Lauren is the perfect girl boss icon and I read every inch of this book at least 3 times when it first came out. I learned a lot about skincare and hair basics from her and highly recommend it as a starter book! | Under $20! Buy it here. Before you go, you might also want to check out our Current Makeup Sales page, which is updated weekly — sometimes daily!! — with all the best makeup sales and coupon codes. I'll be sharing all of my gift guides and gift ideas through my email list (you can subscribe below) and on our Facebook page this year, so that's just a heads up in case you want to see more as I add them. And if you're new around here, please come say hi to me on my YouTube channel and let me know what kind of video tutorials you'd like me to post next! Great ideas on here! I love that pink alarm clock. I’m 26 and I’d still love to receive all these things, especially that Polaroid camera – I’ve always wanted one!